The National Health Insurance Authority of Ghana(NHIA) has launched an app known as "Claim-it" to replace the manual cumbersome paper based process that has been the cause of undue delays and standoffs between the National Health Insurance Scheme and its service providers. Druscilla Annan Nunoo, director of Adam Family Maternity Clinic, attending Mavis Gakpo (0248060820) at the pharmacy. The product was successfully piloted at 15 public health facilities in Greater Accra and Eastern Regions before launching at the end of 2016. Speaking at the product launch in Accra, the Chief Executive Officer of NHIA, Nathaniel Otoo expressed that the claims entry module implements and enforces all the necessary claims generation rules and protocols of the NHIS. “All claims submitted for adjudication are validated by the application and ensures due diligence prior to claims submission. The provider-end module runs fully offline, allowing users to work independently without internet, needing to interact with the internet only when necessary, for the purposes of system updates and claims submission,” he said. The Director-General of the Ghana Health Service, Dr Ebenezer Appiah Denkyira who was also at the ceremony described the introduction of the software as a big leap forward in the operations of the scheme in the country. He said he was confident the new software will tackle the incident of fraud within National Health Insurance system. 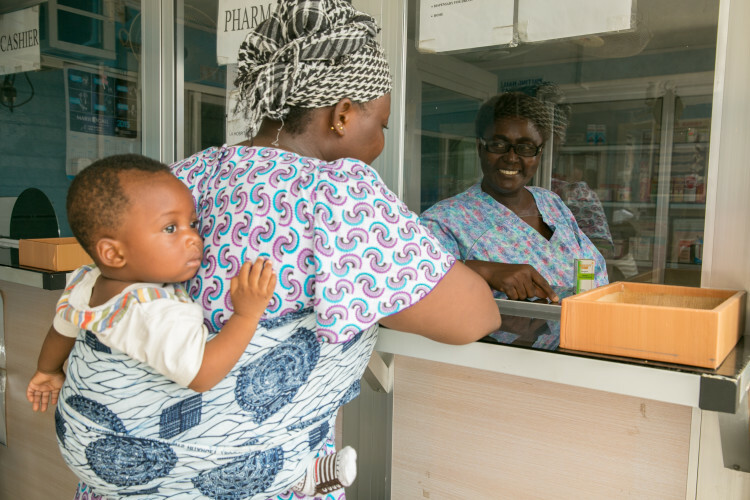 PharmAccess, through the Medical Credit Fund (MCF) and uniBank (Ghana) Ltd, with support from the NHIA had developed a loan product to pre-finance outstanding NHIS claims. This loan product, the first of its nature in the health insurance sector, provides relief to accredited NHIS service providers while they await claims payment from the scheme to enable them for example pay salaries or restock their pharmacy. Eligible claims of registered facilities will be assigned to the bank after which the bank pays a discounted amount of the claim value to the service provider.